Jaclyn Manrique and Patrick Szeto, far right, get ready to start their first Rolex Sydney Hobart sailing with Edward Tooher’s Beneteau First 47.7 Chancellor. 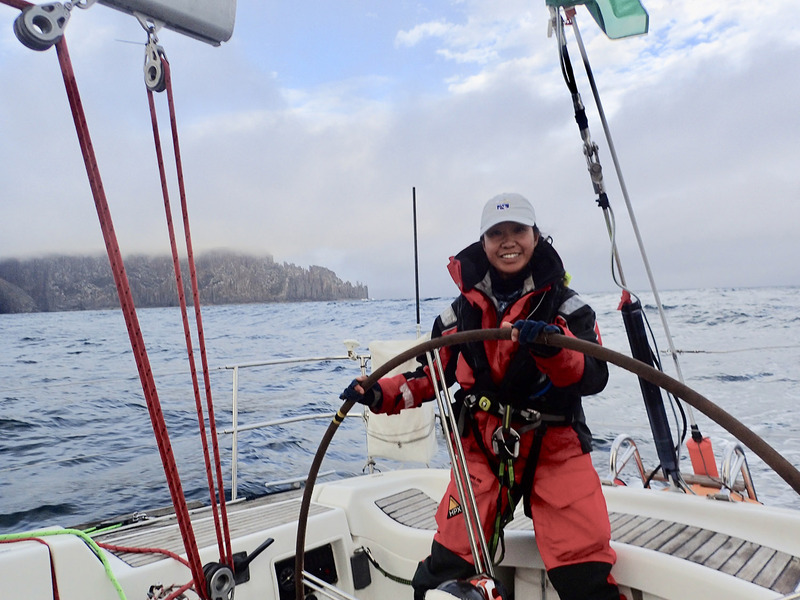 Jaclyn Manrique and Patrick Szeto say watching the start of the Sydney Hobart race on TV is vastly different from experiencing it first-hand on the water, and offer tips for any racer eager to tick it off their bucket list. 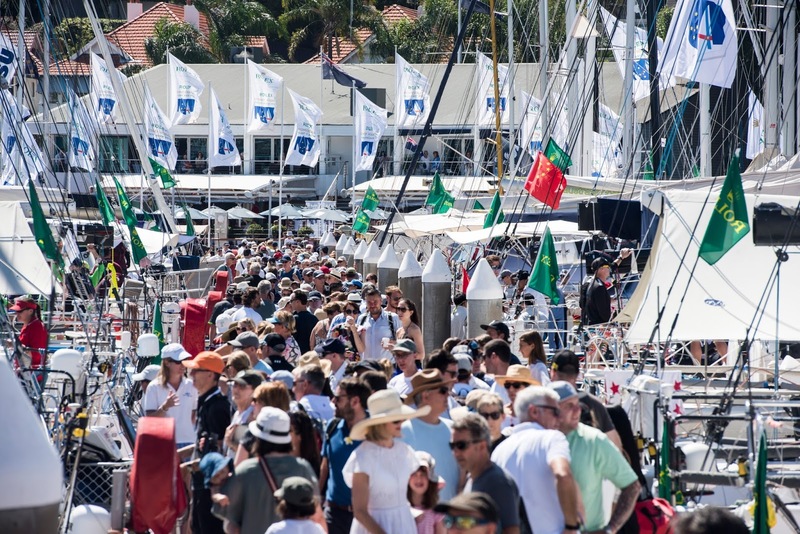 The Rolex Sydney Hobart is one of sailing’s legendary regattas, in an elite class along with the Fastnet Race, Newport to Bermuda, and the Transpac. 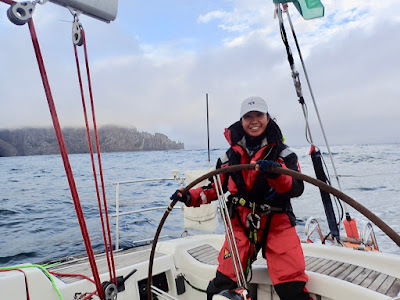 For Jaclyn Manrique, Sydney Hobart was a bucket list item; for her husband Patrick Szeto, it wasn’t a race he ever imagined he’d get to do. But when the opportunity came up to do the race this year, they jumped at it. 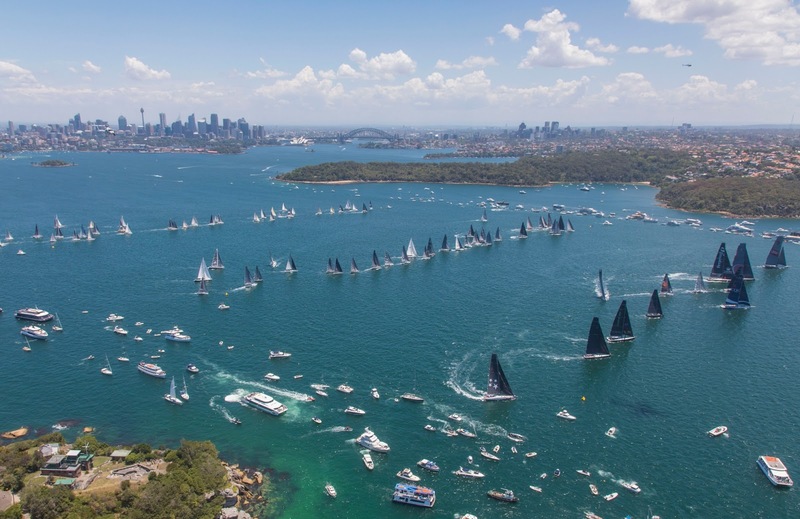 The 628-nautical mile regatta from Sydney, Australia, to Hobart, Tasmania, is known as one of the most grueling offshore races in the world with big breeze and waves, tricky, shifting conditions, and challenging currents to play. The course starts in the Sydney Harbor with the fleet short-tacking their way to the Sydney Heads and the open ocean. It continues down along the southeast coast of Australia, across the Bass Strait, and down the east coast of Tasmania to Storm Bay and the final upwind sail up the Derwent River. 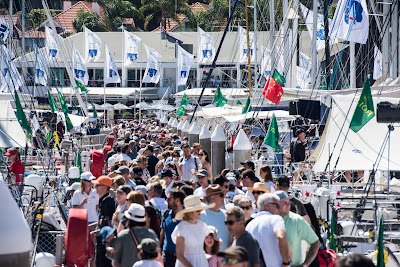 It's a festival on the dock in Sydney in the days leading up to the start of the race. Photo: Rolex Sydney Hobart. The couple is based in the San Francisco Bay Area and the skipper of a boat Jaclyn regularly sails on invited them to join the crew of Chancellor, Edward Tooher’s Sydney-based Beneteau First 47.7. Neither Jaclyn nor Patrick had ever been in Australia before. They landed in Sydney two weeks before the race so they’d have time to get over their jet lag and enjoy a bit of touring before diving into boat preparation and practicing with the crew. The Sydney Hobart traditionally starts on December 26, which left a little bit of time with friends and family over the Christmas holiday. “Patrick’s whole family came in and my dad came in a couple of days before Christmas to watch the start, so we got to have Christmas dinner together,” said Jaclyn. The Rolex Sydney Hobart has one start but three start lines. Photo: Rolex Sydney Hobart. The 88-boat fleet was divided between three different start lines, with the maxis starting first, the midsize boats starting second, and the smaller boats—if you can call a 49-foot boat “small”—starting third. “It’s really crowded. On our start line there were 30 or 40 boats. That’s a pretty good fleet and it feels very crowded as you’re tacking up the harbor with spectator boats on either side,” said Patrick. The uncommon conditions of this year’s Sydney Hobart were widely reported in the media. Outside of the Heads, the top of fleet was treated to a downwind run the majority of the way gunning for a course record, while the slower boats faced rain, heavy fog, and a building sea state as they worked their way south. On the second night, Chancellor got a 12-foot tear up the center of its mainsail. Jaclyn at the helm of Chancellor. “We had a backup main that was not in as good condition so we had to preserve it until we got to the Derwent River and would have to turn upwind in light breeze. At one point, we were sailing with just a spinnaker in order to preserve the main. We were really rolling around with the sea state,” said Jaclyn. The race typically parks at the entrance to the Derwent River having to fight the current and play the shifts for the final run up to Hobart, but the weather system sitting off the coast provided three days of consistent pressure, with just a couple of light patches along the way. Anthony Bell’s Juan-K 100 Perpetual Loyal skippered by America’s Cup star Tom Slingsby grabbed line honors and crushed the course record finishing in 1 day 13 hours 31 minutes—almost five hours faster than Wild Oats XI’s 2012 time. The unusual conditions provided the opportunity for that record; at one point 24 boats were on target to better Wild Oats XI’s time. Chancellor was not quite that fast, but they did set a boat record for the course finishing in just over 3 days and 13 hours. 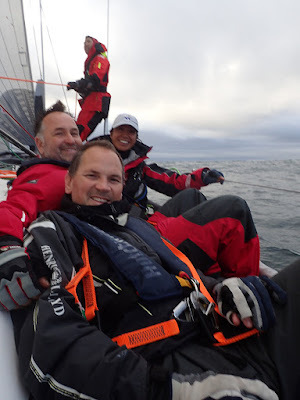 A light moment for the international crew on Chancellor, somewhere in the Bass Strait. “There were four other 47.7s. Our aim was to do well amongst that fleet and do well in our division. It was very relaxed, and safety was paramount,” said Patrick. The 12-member Chancellor crew representing the U.S., the U.K., and Australia, was divided into two watches of five, with Tooher and the navigator on their own schedule. “There’s always an uncertainty going into a race where you don’t know the other crew. Available skill sets, experience, interests, and social dynamic can become kind of an issue when you’re working with people you don’t know. That’s true on any boat of course, but with this one it’s maybe more important just because of the level of the race,” said Patrick. 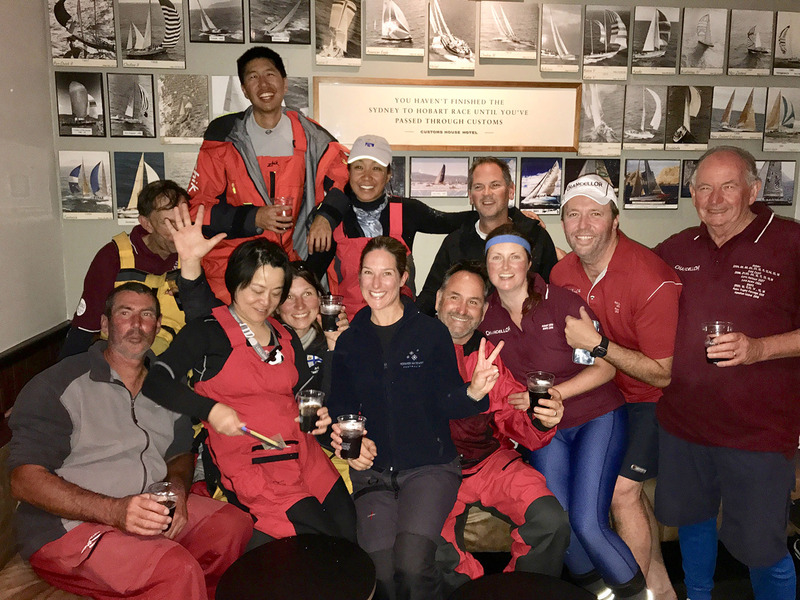 The Chancellor crew celebrating a boat record for the course and a safe crossing in Hobart. So would they do it again? “I think I would but it depends on the right factors: the right team, a good safe boat, and timing,” said Jaclyn. Get good gear: “Don’t cheapen out on gear. Get the guaranteed, well-known reliable gear. That’s definitely key,” said Jaclyn. Pack layers: It’s hot in Sydney but gets progressively colder as you head south, so make sure you’ve got layers—up to four plus foul weather gear. Prepare your body: Jaclyn and Patrick say they added weight training, running, and swimming to their regular workouts in order to prepare for the intense conditions they would likely face. “Train for it, have a training plan to work out and get stronger. If you can, do a few other offshore races to get used to the watch system,” said Jaclyn. Keep hydrated and eat regularly: “It’s important to stay hydrated and eat, as well as sleep during your off watches in order to keep your energy levels up”, said Jaclyn. Conserve your energy: It’s important to rest on your off-watch, especially if you’re on one of the smaller boats that take upwards of two days. “It’s more like a marathon than a sprint,” said Patrick.